How do you “exhaust local remedies” for the purpose of applying to Strasbourg? Following David Hart’s guide to taking a human rights point in local and regional courts, here is an attempt to explain what is meant by the requirement set out in Article 35 of the Convention, that any petitioner before the court has to “exhaust” their local remedies before their complaint will be considered. The rule of exhaustion of local remedies started as an international law principle relating to diplomatic protection. The idea was that a measure of respect should be accorded to the respondent state and its legal rules. In human rights law, the rule of local remedies is based on the principle that states should be primary enforcers of Convention rights. But very soon after the Convention went into operation, certain limitations grew up around the rule as a result of the consideration of the interests of the individual. It was felt that unlike diplomatic procedures, the application of the rule should conform to fairness and not cause the individual undue hardship in securing a reasonably quick resolution in Strasbourg. 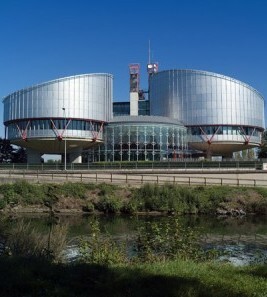 In effect, petitioners are not prevented from bringing cases straight to the Strasbourg Court without first going through the national authorities, it is simply that if they do so, it is open to the respondent state to assert inadmissibility based on non-exhaustion. In practice this means that when the respondent state is formally informed of the petition and requested to submit observations, it must satisfy the court that remedies have been available and sufficient at the relevant time. Once this is established the burden passes to the petitioner to prove that local remedies have been exhausted. Of course if the government fails to assert non-exhaustion under Article 35 prior to the Court’s decision on admissibility the matter will proceed to an examination on the merits by default; the government is effectively estopped by its own delay from protesting the point. On the other hand the Court has observed repeatedly that Article 35 is to be applied with some degree of flexibility and without excessive formalism (Cardot v. France). So it makes it difficult to establish any hard edge around the application of the principle. We can only glean the broadest of guidelines as to how does the rule of exhaustion work, in practice. A remedy is considered available if it can be pursued by the applicant without difficulties or impediments. A remedy, in order to be considered available, must have a certain degree of immediacy (Ciulla v Italy) and certainty; the availability of an application to a constitutional court may not be regarded as sufficiently certain if that court has a discretion to refuse such applications: Horvat v Croatia (2002). A remedy to be effective must exist within the domestic legal system and offer a reasonable prospect of success. In the early landmark Irish abortion counselling case Open Door and Dublin Well Woman v Ireland (1992) the Commission (the body then arbitrating on admissibility) stated that an applicant is only required to have recourse to remedies which are capable in practice of providing redress in relation to the particular situation at hand. By recognising that the applicants would have had no prospects of success in resisting the injunction imposed on them by the Irish courts, the Commission clarified that the applicant is not prevented by Article 35 from asserting rights – such as privacy and access to information, in this case – that would have no prospects of success in the national courts, “having regard to the high level of protection afforded in Ireland to the constitutional right to life of the unborn child”. Lack of legal aid is not considered a bar to admissibility where the proceedings are sufficiently complex to warrant a lawyer (Airey v Ireland (1979)) but otherwise if an applicant is barred from taking an action because of lack of money the Strasbourg authorities have generally expected applicants to take proceedings as litigants in person. Nor will an action for breach of duty suffice if the mere possibility of damages is “too speculative”: “the mere possibility of establishing a remedy in damages for a breach of duty in the present case is too speculative to be deemed an effective remedy” (Zhu v United Kingdom (2000)) .If the applicant faces undue delay in securing a remedy this will override the need to try out the domestic courts first – see Tomasi v France No 12850/87 (1990), and delays and inaction in the investigation of the applicant’s treatment in custody rendered the alleged “remedy” ineffective in Selmouni v France (1999). In a very early case on the point, Lawless v Ireland, (1960), the Commission considered that the applicant did not have to take prior recourse to the local Internment Commission for a remedy for his unlawful imprisonment because the IC could only recommend the applicant’s release and was unable to award damages by way of compensation. Where the government can only produce one case where an action has succeeded before national courts, that will not be considered to be an “effective remedy” (Horvat ). An applicant is dispensed from the obligation to exhaust certain local remedies if, in the circumstances of the case, those remedies are inadequate; a remedy which does not have a reasonable prospect of success is not an effective remedy and thus there is no need to exhaust it. A remedy is ineffective if, considering the given case law in the national reports, it does not offer any real chance of success. The burden of proof is effectively on the applicant to give evidence of the existence of such unpromising case-law. The fact that an identical claim has been dismissed may be sufficient to indicate that there is no real prospect of success. The case of Costello-Roberts, it will be remembered, was a challenge to the widespread use of corporal punishment in private schools in the UK. The government challenged the complaint on non-exhaustion grounds on the basis that the applicants had made no attempt to institute a private criminal prosecution or civil proceedings against the headmaster who inflicted the punishment. The Commission disagreed, upholding the applicants’ submission that there would have been no point in pursuing such proceedings as they held no prospect of success. The punishment would undoubtedly have been held to have been moderate and reasonable under English law. The applicant is required to raise in substance in the domestic proceedings the complaints made in Strasbourg and in compliance with the formal requirements and time-limits imposed by domestic law (Cardot v. France ). It is not necessary for the formulation of the Convention complaint to be identical, just the substance. Account will be taken not just of the personal circumstances of the applicant, but of the general legal and political context in which the alleged remedies operate. There is some uncertainty over whether remedies of a non-judicial nature, such as recourse to an Ombudsman, need to be exhausted or not. In the early days the Commission tended to allow such applications through. So for example it was not considered an effective remedy to have recourse to the Board of Visitors or any other body whose powers are limited to recommendation (Lehtinen v Finland; Leander v Sweden). The availability of a request for exercise of ministerial discretion to award compensation is not considered an effective remedy for the purposes of Article 35: Decision no 14545/89. But now with the principle of subsidiarity established by the Interlaken declaration it is more likely that the state’s assertion of non-exhaustion will succeed in the case of non-judicial remedies even if the authorities concerned have a discretion to refuse relief. In Cardot v. France the Court repeated the requirement developed under the Article 35(1) caselaw that any procedural means which might prevent a breach of the Convention should have been used. In its case law about exhaustion of local remedies, Strasbourg has consistently held that the formal requirements and time limits laid down in domestic law should normally be complied with. This is the case even in asylum and cases where there is alleged ill treatment in the destination state to which the individual has been deported (Bahaddar v Netherlands 1998). On the other hand the Court has not applied this rule rigidly; in Hilal (2001) and Chamaiev (2005), both Article 3 asylum cases, it allowed the submission of fresh evidence as to the applicant’s asylum status long after the national courts had rejected his appeal on the basis of lack of substantiating evidence. In deportation cases involving allegations of torture then the Court takes the approach that automatic and mechanical application of domestic procedural rules should not deny asylum seekers a realistic opportunity to prove their claim; procedural rules must enable full effect tobe given to Article 3. In civil cases the highest avenue of appeal where there is a prospect of success is the Court of Appeal. Whether the applicant is required to go thus far, or further to the Supreme Court is very fact sensitive. In the case of children, for example, appeal t the Court of Appeal may not be necessary in care cases due to the CA’s limited powers of intervention; equally prisoners and asylum seekers may not be required to apply for judicial review if the scope of JR grounds is limited in their particular case. The picture is complicated further by the interpretation and application of the right to an effective local remedy under Article 13. Article 35 is of course an admissibility requirement, whereas Article 13 is a substantive obligation imposed on Contracting States. But they effectively say the same thing. In many cases Strasbourg allows applicants to fast-track their claims via this provision. In Mandic and Jovic v Slovenia for example the Court found that the absence of a specific substantive remedy to solve overcrowding problems in Slovenian prisons amounted to a lack of an effective remedy contrary to 13 and therefore it found a violation of Article 3 without addressing the requirement that Slovenia make an independent, domestic determination of whether there was a violation prior to the Court’s exercise of its jurisdiction. The court thus disregarded the express requirement in the text of Article 13, which is the guarantee of an effective remedy only if one or other of the substantive rights set forth in the Convention have actually been violated, to a mere requirement that a person has an arguable case on violation. It seems that in Article 3 cases at least Article 13 has become a bridge over which the Court side-steps its own duty to ensure that complaints about human rights are first addressed to national courts. Can a judgment in default of defence be in breach of Article 6? To me, it would appear that the very elasticity of the terminology prevents any exactitude being possible. It is like Humpty Dumpty – things are what they say I mean – to paraphrase this “Good Egg”!